Prior posts on this blog have discussed the general aspects of property partition actions. A partition action arises when there are two or more owners of real property, and the co-owners cannot agree on the disposition of the property. The property may be residential or commercial in nature. This blog post will discuss possible out-of-court resolutions to a partition action. A partition action may be brought by any of the co-owners to force a sale of the property, with the proceeds being divided among the owners according to their percentage of ownership. However, it is a fact that most lawsuits are settled prior to trial or another resolution by a Court. In a partition action, there are several alternatives to explore when deciding to resolve a case without the need for further Court intervention. The first alternative would be for the parties to agree to sell the property to a third party who is not one of the current co-owners. In such a situation, the co-owners should agree on sale terms, and, in most situations, hire a professional real estate broker to list and show the property in question. The parties would also agree to share the costs of the broker, which is usually a set percentage of the sales price. It is advisable at this stage that a formal written agreement, usually called a “Stipulation of Settlement,” be entered into between the parties. Such an agreement should contain an initial listing price for the property. It should also state that any offer at or above the listing price will be accepted by all of the owners. In the event that the property cannot be sold at or above the listing price, the agreement should also delineate a set period of time in which the parties will attempt to sell the property at the initial listing price, such as three months. After this time period expires, the agreement should state that the listing price will be reduced by a set percentage, such as five percent. This will allow the property to be sold at a price acceptable to all parties, and will prevent any co-owner from refusing to sell the property. Our firm has handled many partition actions and has a standard Stipulation of Settlement that contains the necessary clauses for an effective resolution. The second alternative in settling a partition action is where one of the co-owners agrees to buy the ownership share of one or more of the other co-owners. For example, a house is inherited by three adult children from their deceased parents. Each child therefore now owns a one-third share of the house. One of the children lives at the house and does not want to sell the property or move out of the house. In that case, the party residing at the house may agree to buy the ownership interest of their siblings. 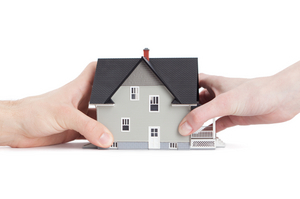 In such a case, an appraisal is usually necessary to determine the overall value of the property. Once this is done, the parties must agree on an exact price for their interest in the property. Let’s assume the house in question appraises for $300,000.00. The co-owner residing at the house could therefore agree to pay each sibling $100,000.00 for their interest in the house. It is possible that the party purchasing the property may need to obtain financing in order to conclude the transaction. After the sale, the purchasing sibling would become sole owner of the property. When implementing this alternative, the usual legal document used is a Contract of Sale. Our firm would prepare a standard real estate contract. In the example given above, the contract would list the two selling siblings as “sellers” and the sibling remaining in the house as the “buyer.” The Contract would also reference any prior stipulation between the parties. The sales price would be as agreed among the parties, and the transaction would close as any standard real estate transaction. As part of the transaction, the parties must also agree to discontinue any pending partition litigation, as it would be a cloud on future title. Our firm has extensive experience in litigation and settling real estate partition actions, and welcomes all inquires in this area.